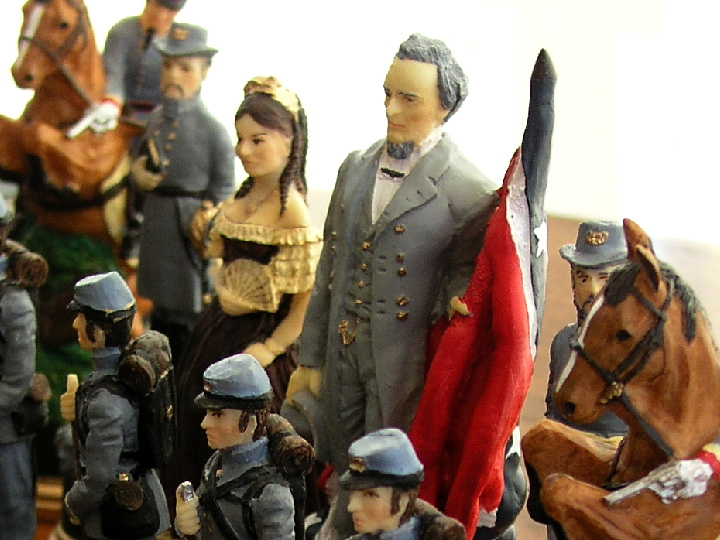 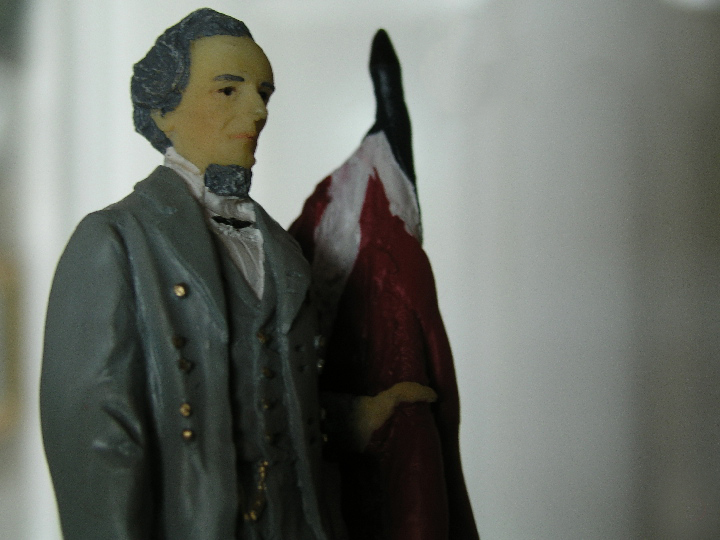 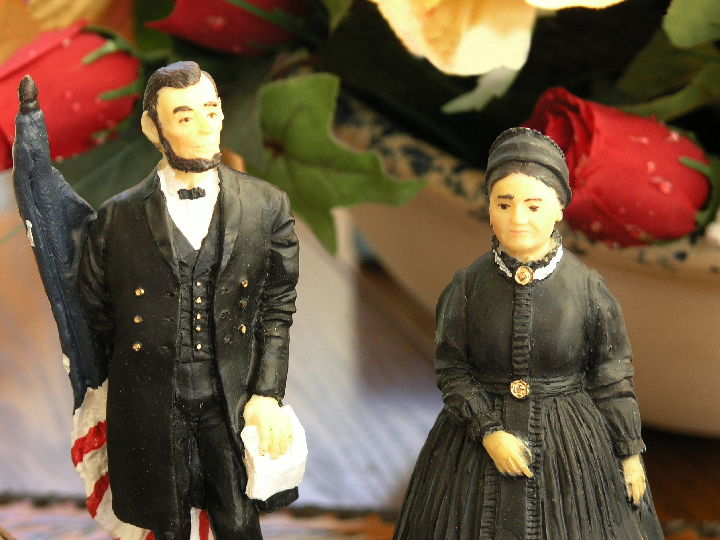 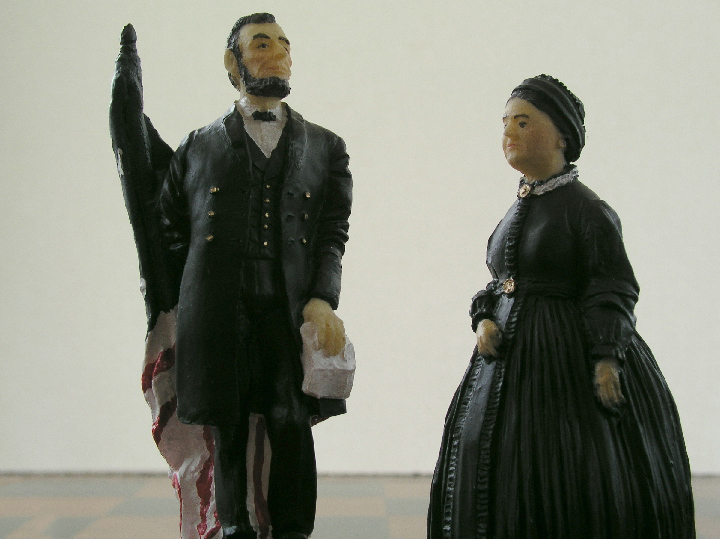 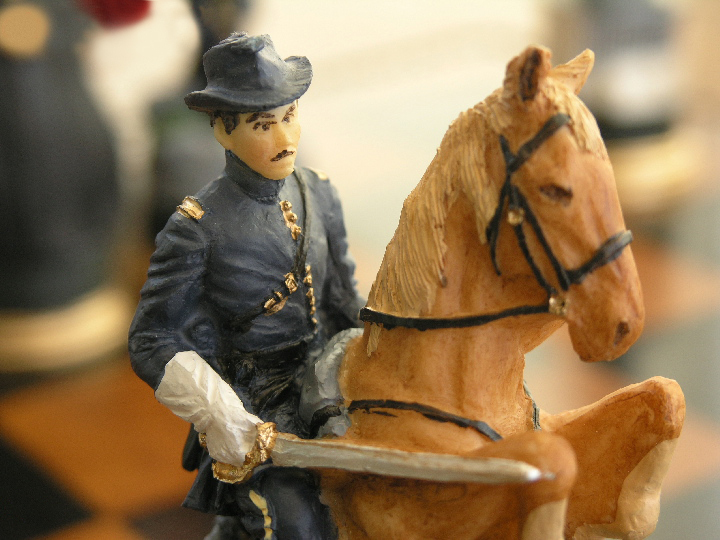 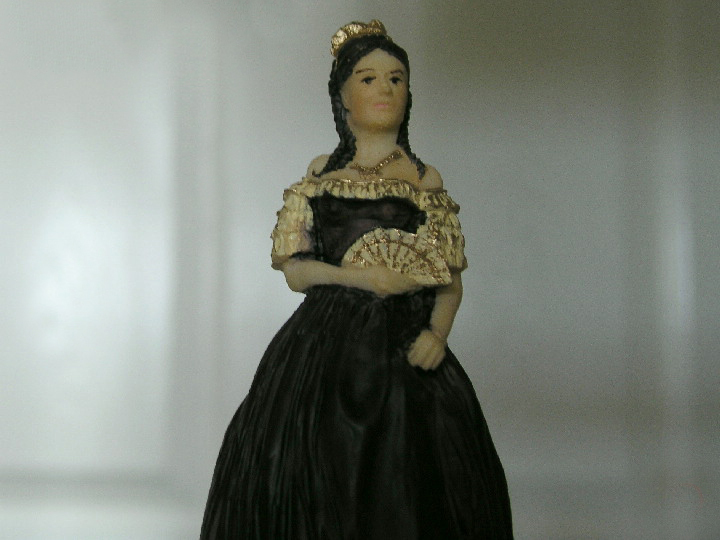 This product from Chess Baron: With the main character of Abraham Lincoln, here's the flagship of theme hand painted chess sets - what chess sets with some historical occurance were made for - the American Civil war. 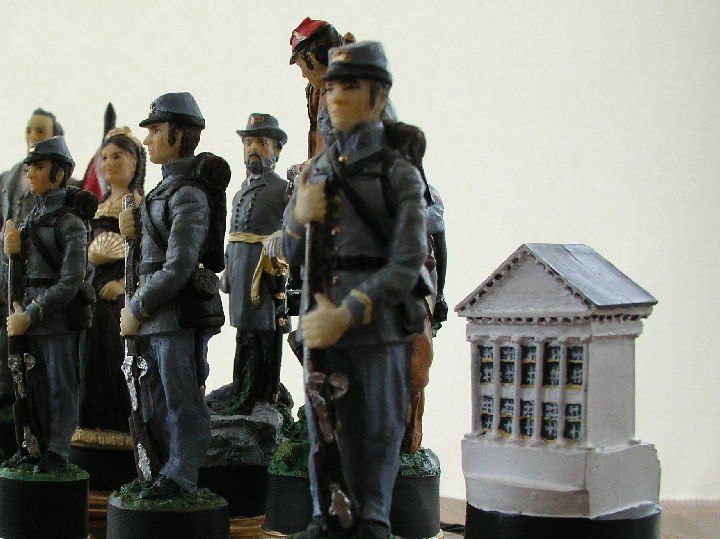 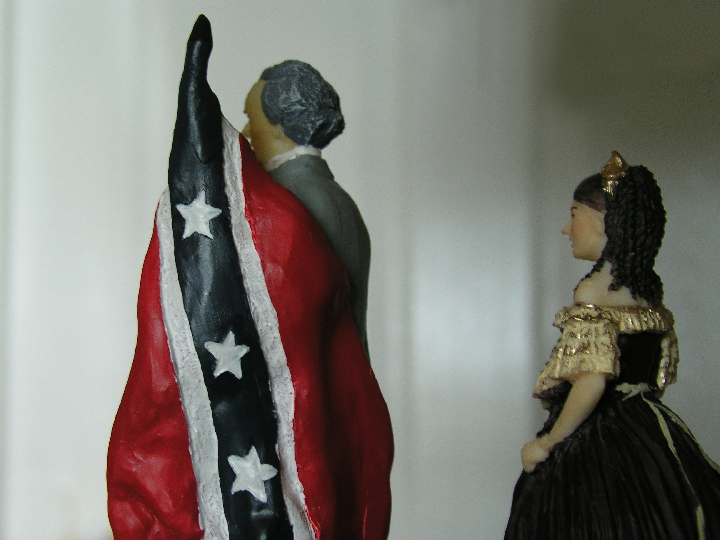 Embedded in the US psychology are characters such as Abe Lincoln and Mary Tod Lincoln, Ulysees Grant, William T Sherman, Jefferson Davis, Verina Howell Davis, Robert E. Lee, Stonewall Jackson and all the brave infantry men with their capitols of Richmond and Washington. 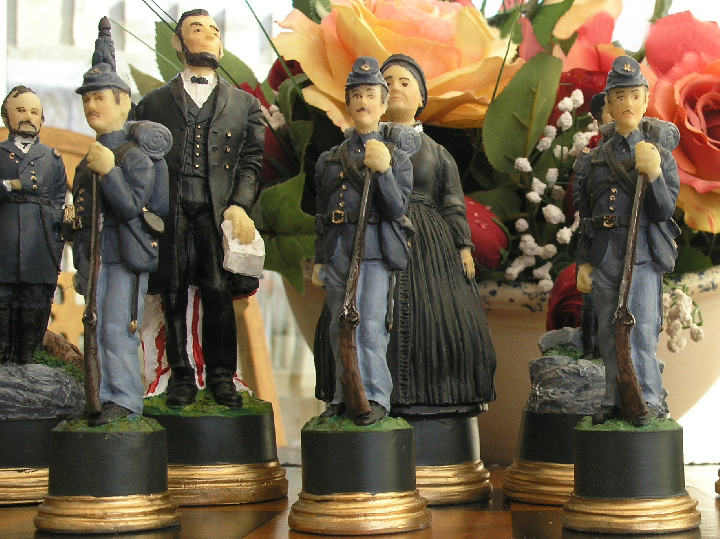 This is the pre-eminent of theme chess sets, the example for others to follow. 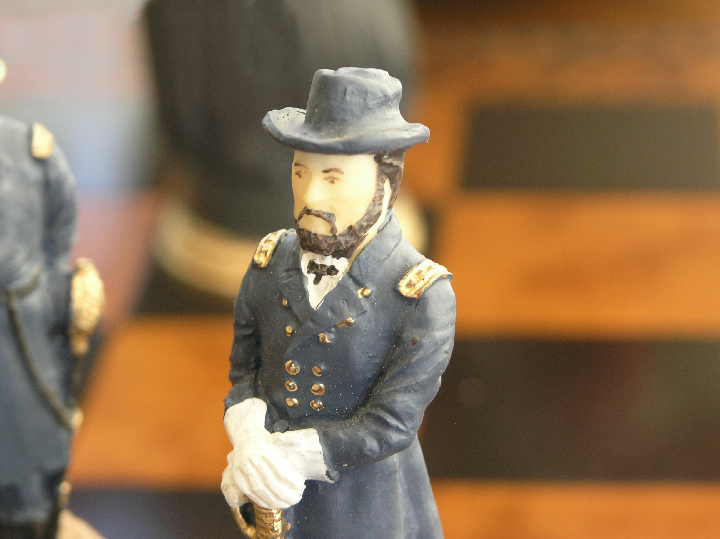 The detail and quality of this chess set is nothing short of extraordinairy and a fitting testament to the awful period for America of the civil war.